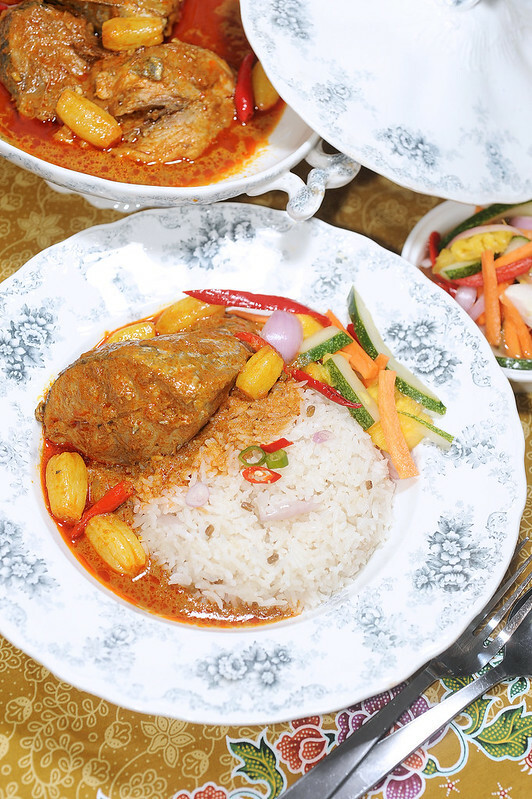 Due to its geographical advantage, the culinary speciality in Terengganu seems to revolve much around seafood. From Pulut Lepa, Laksam to Ketam Sumbat and Gulai Ikan Tongkol accompanying Nasi Dagang, not forgetting the ever-popular pasar malam fanfare of Ikan Bakar and Keropok Ikan Lekor, a lot of Terengganuan dishes, together with those from the eastern coast of the Peninsula tap heavily on the abundant resources of the vast South China Sea, some of which are almost exclusively found only in this region. 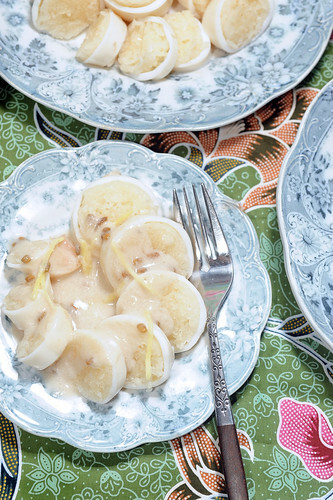 Ketupat Sotong versi Terengganu is one such intriguing dish where squid is filled with glutinous rice before being cooked in a rich coconut milk gravy doused heavily with local spices. 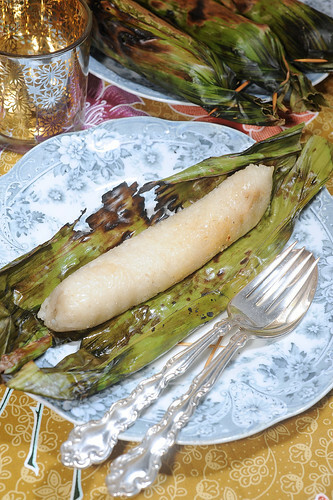 Pulut Lepa aka Pulut Panggang versi Terengganu is a delicious savory snack made from glutinous rice steamed with coconut milk and an “inti serunding ikan kembong“, i.e. spiced mackerel fish floss filling, wrapped with banana leaves and finally grilled for the extra oomph of wonderful smoky flavours. This is a simple “kuih” enjoyed freshly “panggang” i.e. grilled over a charcoal flame for breakfast or tea. Being very affordable, it is a common “walk and eat along” treat for many Terengganuans, especially amongst folks on their way to work and children to school, grabbing one or two as they pass by their favorite stall in the pasar pagi, i.e. morning bazaar.